Welcome To JLT Transport ... Your Full & LTL Transportation Solution! We're glad that you've stopped by to find out why JLT Transport is the most sought after industry leader to carry loads throughout 48 states. Backed by over 15 years of proven experience and over 102,000 loads, JLT Transport is a widely known and respected industry leader who pays attention to the smallest of details. You can rely with confidence on meeting your deadlines, because we meet yours! Within the pages of our website, you'll learn why we carry more loads and we're the preferred transportation company. Also, we want to introduce you to our exclusive 5 Elements Of Consistent Customer Satisfaction. 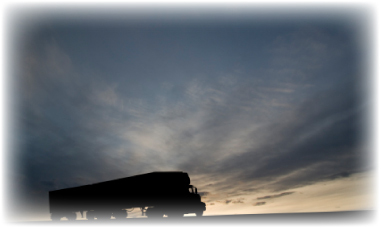 JLT Transport is ready to bid or handle your load whenever your need arises. If you've got a load, you sure don't want to wait for the "Office To Open" before you're able to speak to a real person to get a bid and a load scheduled. We're available for you to reach us 24 hours a day, 7 days a week. All you need to do is give us a call at (940) 465 - 4688. What type of loads does JLT Transport carry? Any type! We specialize in flatbed, stepdeck, heavy equipment, reefer and dry van. We're experts at determining all the variables that go into bidding and transporting your load. After all, you sure don't want surprises and neither do we! JLT Transport provides a full range of transportation services and LTL coverage in every city spanning 48 states.